Spiritual mentoring, or discipleship, is a relational process that requires people to become actively involved in their faith. Authentic discipleship is about developing a caring concern and a genuine love for others through modeling Christlike attitudes and behavior in the context of relational environments. It starts with relationship. Because it all starts with the individual, we must see one-on-one discipleship as the primary objective to begin the revolution. 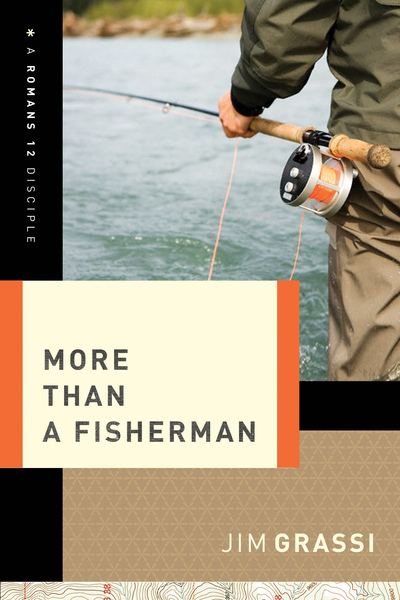 In More Than a Fisherman, Dr. Jim Grassi provides guidance for men who desire to mentor others or to be mentored, using Jesus and the twelve disciples as a model. Designed to be used as a companion to The Spiritual Mentor and Building a Ministry of Spiritual Mentoring, this manual is for use during times of mentoring and suggests types of exercises and activities two men can do together.